It's important to do your research when thinking about leasing a car. This includes ensuring you plan your budget factoring in all of the additional costs. It's worthwhile noting that typically your lease payments won't include car insurance. You do still need to insure your lease car, but this will be an additional cost you'll need to budget for. 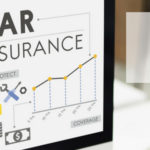 In this article, we'll take you through ways to reduce your insurance premium and answer the important question, do lease cars cost more to insure?